Customer reported issue: "GPS card blank/empty, Map not found when inserted, Map areas are completely black"
Root cause: ALL because Program incorrectly. 1. ONLY for ANDROID 4.4-7.1 SYSTEM. NOT just stick it in the GPS slot and expect the system to recognize it. 2. Easy Programming Instructions: Insert the map card into the GPS card slot. Then find the "ApkInstaller". Double click this map file. 3. If with old APP please delete. Package Contents: 1 x North America GPS Map Card. Customer reported issue: "GPS card blank/empty, Map not found when inserted, Map areas are completely black" Root cause: ALL because Program incorrectly. How you will address the root cause: 1. ONLY for ANDROID 4.4-7.1 SYSTEM. NOT just stick it in the GPS slot and expect the system to recognize it. 2. Easy Programming Instructions: Insert the map card into the GPS card slot. Then find the "ApkInstaller". Double click this map file. 3. If with old APP please delete. North America 4GB storage capacity card, meet your different needs. Millions of POIs to help you find restaurants, bars, landmarks, malls, stores, and more. High-quality metal plating chip, excellent craftsmanship guarantees the data stability and security of card. 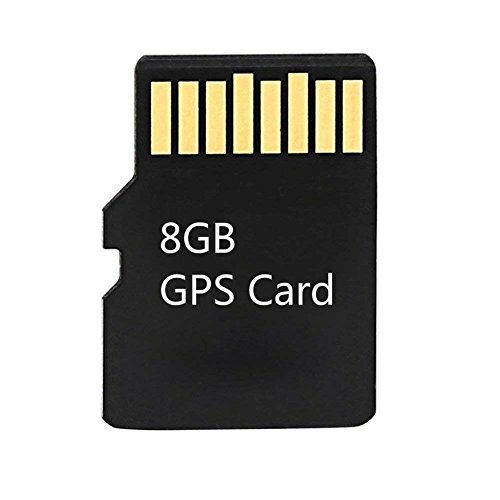 Please notice that this Map Card only suits for In-dash Car DVD Player GPS Navigation Stereo Radio and Portable GPS Navigator with Standard TF Card slot. If you have any questions about this product by COROTC, contact us by completing and submitting the form below. If you are looking for a specif part number, please include it with your message.